Creamy Parmesan Mushroom Risotto - Home. Made. Interest. This Creamy Parmesan Mushroom Risotto is made with cheesy arborio rice and a creamy white wine mushroom sauce! 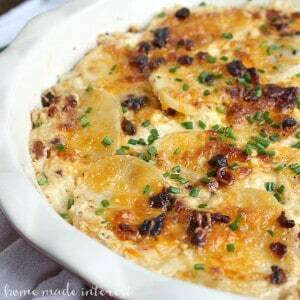 Do you ever come up with the best recipe, that you know everyone is going to love, and then when it comes to choosing a side dish and you’re stuck? Is it just me? 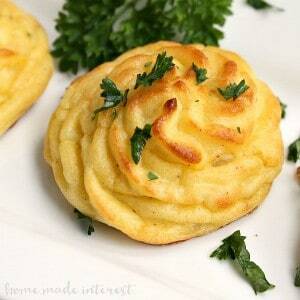 Side dishes are always hard. I mean, asparagus is great but you can only eat so much of it, same with spinach. When I decided to make Steak Roll Ups for dinner I knew that I needed a side to go with it that was just as fancy. 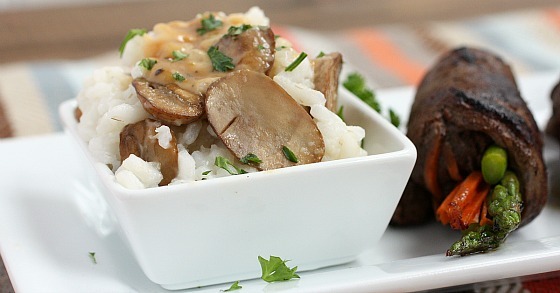 Enter Creamy Mushroom Risotto. Sounds impressive right? Risotto is actually really simple to make it just takes a little time and patience. You start with your rice and a little wine, cook the mixture until the wine is absorbed then you begin adding chicken broth one ladle full at a time. You stir and stir while the liquid is absorbed then add a little more until you have this amazing creamy rice. Then you add some Parmesan cheese to make it deliciously cheesy and, in this case, you top the whole thing with a creamy white wine mushroom sauce. I think one of the hardest parts of making risotto is figuring out the consistency. On an episode of Top Chef (I’m totally addicted to that show!) I saw Wolfgang Puck tell a contestant that the risotto should spread slightly when it is put on the plate, so now I cook mine so there is enough liquid left in it that loses its shape and spread out a little when I serve it. 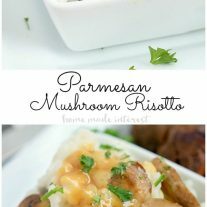 Parmesan Mushroom Risotto is made with cheesy arborio rice and a creamy white wine mushroom sauce! Place Chicken broth in a saucepan and heat it over low heat. On a separate burner heat olive oil in a pan over medium heat. Add rice to pan stirring quickly for 1 - 2 minutes, then add 1/4 c wine to the pan. Keep stirring the rice until the liquid is almost gone then add 1 ladle full of broth. Continuing stirring until the liquid is absorbed and repeat adding the broth and stirring until it is absorbed, until all of the broth has been incorporated. While the rice is cooking heat butter in a skillet over medium high heat. Once pan is hot add mushroom and cook until they have browned and are tender. Add 1/4 cup of wine and cook until the liquid reduces by half. Add heavy cream and continue to cook until liquid has reduced by half. When rice is ready stir in Parmesan cheese. Serve rice and ladle mushroom cream sauce over top. You can make this as a side with a fancy schmancy dish like Steak Roll Ups, or you can make this and serve it as the main course all on its own! Oh, this looks absolutely *gorgeous* and delicious. I’m sure it’s a crowd-pleaser! 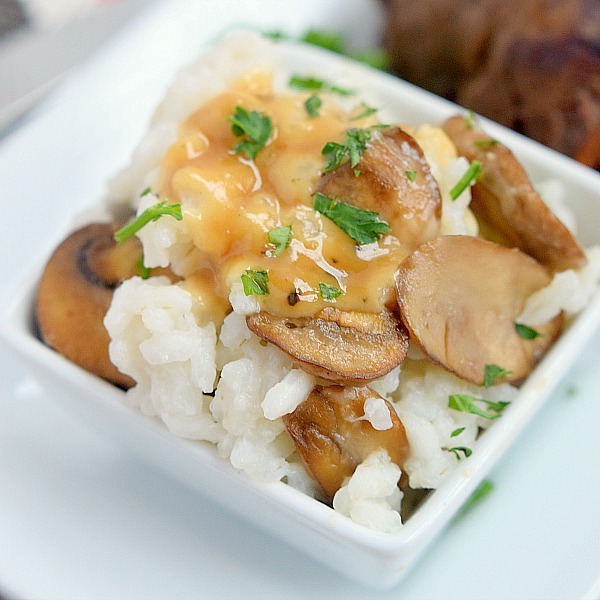 This totally reminded me how much my family loves risotto – can’t wait to try this spin! Looks yum! I will have to give this recipe a try.